My First Royal Jewels is a modern-day reinterpretation of European jewelry created by some of the great design houses of the early 20th century—Louis Boucheron, Cartier (Paris), and Harry Winston—much sought after names by the royal and social elite. A time when platinum and emeralds were the materials of choice and a woman’s jewelry was seen as emblems of her “lord’s” rank in the world. Now we might ask the question: who are today’s jewelry collectors and what does one consider valuable and precious in the 21st century? The initial collection was created as an interactive installation and emiko oye's solo show at the San Francisco Museum of Craft+Design, Oct 17, 2008-Jan 4, 2009. 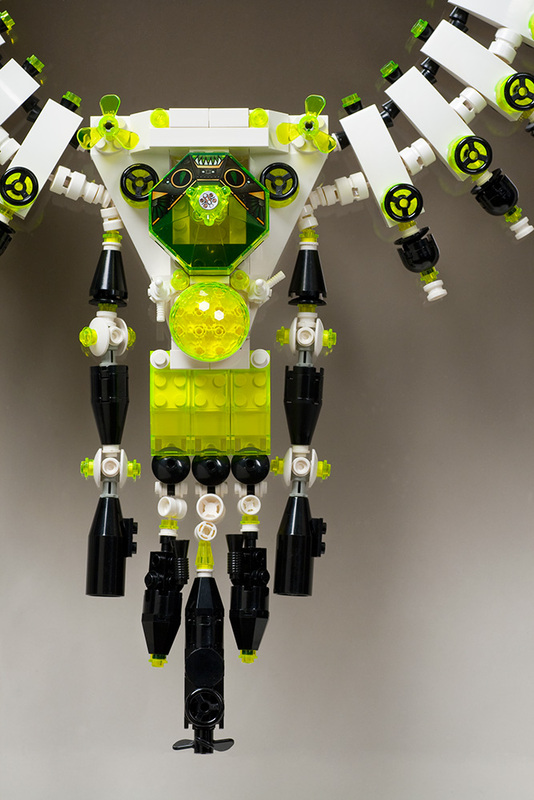 The public was invited to try on the collection of repurposed, LEGO® replica as if it was their own. Digital images of participants can be found at San Francisco Museum of Craft+Design flickr set. Recycled and repurposed LEGO®, coated copper wire, rubber cording, sterling silver, steel pin back. This neckpiece is a modern-day reinterpretation of The Royal emerald, pearl and diamond necklace of Queen Margherita, consort of King Umberto I of Italy during the 1870s. For her love of jewelry and pearls, she was known as "The Queen of Pearls," the necklace being part of her dowry, originally in the dowry of her mother, Elizabeth of Saxony, the daughter of King John of Saxony. During the 20th century many of the royal jewels were unmounted and reset (the necklace included), and redesigned so that large neckpieces could convert into bracelets, brooches, and smaller necklaces, akin to what was happening in French jewelry at that time. 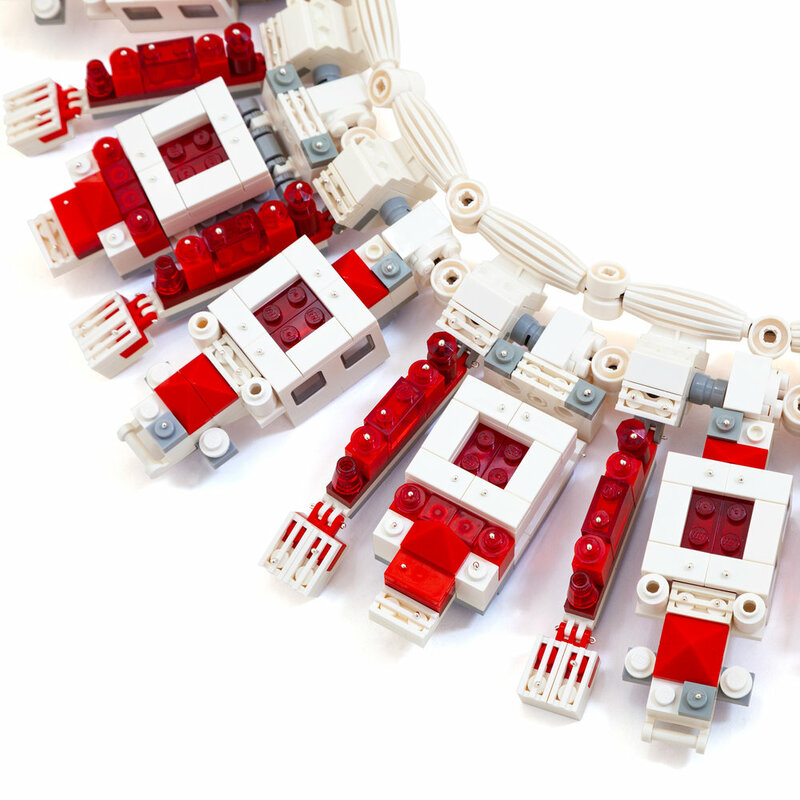 In the spirit of Queen Margherita's jewels comes this similar "transformer"-like tribute, repurposed from a child's LEGO® set, hence making it the debut neckpiece in My First Royal Jewels Jewellery Collection. 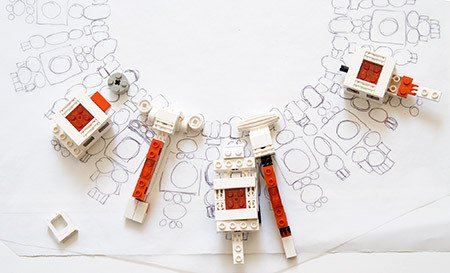 For you can never be too young to start your own jewelry collection, especially if it's made from LEGO®, the gold of children young and old! The Duchess neckpiece is a modern-day reinterpretation of a gold, turquoise, amethyst and diamond bib necklace, by Cartier, Paris, 1947. Given to Duchess of Windsor from the Duke, it was but one of many royal pieces that he had commissioned for his bride by the great houses of the day-Cartier, Van Cleef & Arpels, and Harry Winston. 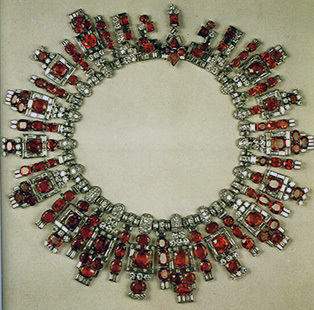 As with much royal jewelry, that neckpiece was designed around stones that had once been in other pieces. Both the Duke and Duchess worked closely with these design houses to create an astounding collection that spoke of their love and that showcased the exotic jewels they collected over their travels. The Duchess 2 neckpiece and pendant set is based upon an emerald and diamond necklace mounted by Cartier, with a matching pendant by Harry Winston, 1960. This is a prime example of how a jewel's provenance can change from one royal court to another. Initially, Harry Winston created an emerald and diamond necklace, remounted from anklets that he had purchased from the Maharajah of Baroda. At a Parisian ball, the necklace was the talk of the hour, and it was there that the Maharani of Baroda revealed to the Duchess of Windsor that the stones had first been hers. Disgruntled at the news of her jewels having been used in anklets, the fashionable Duchess exchanged the piece for Winston's massive 48.95 ct emerald pendant, the stone of which had once belonged to King Alfonso XIII of Spain. Maharajah’s 6th necklace pays homage to Boucheron’s diamond and emerald necklace made for HRH The Maharajah of Patiala, 1928. By imperial decree, Boucheron was named the designated keeper and official curator of the Maharajah’s infamous Persian treasure. Known as the “Thousand and One Nights,” it consisted of six treasure chests of gemstones (from which the historic Koh-i-Noor diamond originates), valued at 1,800,000,000 francs ($3,272,727 USD in the 1930s). 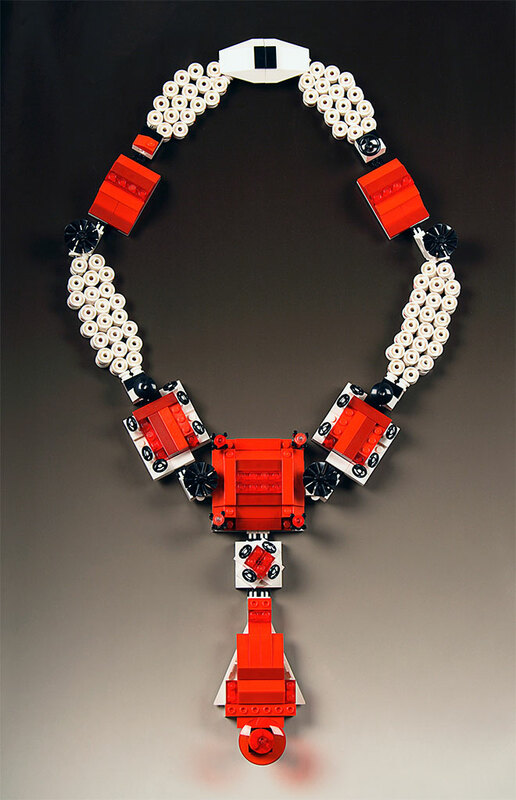 The multilayered LEGO design in this version echoes Boucheron’s departure from the standard of flat, two-dimensional jewels towards the introduction of three-dimensional, high-relief designs. Two views of a design for an emerald and diamond necklace made for HRH The Maharajah of Patiala in 1928. Boucheron Archives. Blue-tinted steel, diamonds, zircons, pearls necklace by Maison Boucheron, 1890. In this spirit of future forward design, Cygne Noir is a 21st century take on Lalique’s infamous enamel Necklace with Insect Women and Black Swans, first shown at the 1900 Paris Exposition Universelle. Considered on of his best works, it depicts his fascination with the darker symbols of Art Nouveau. Necklace with Insect Women and Black Swans, 1900.